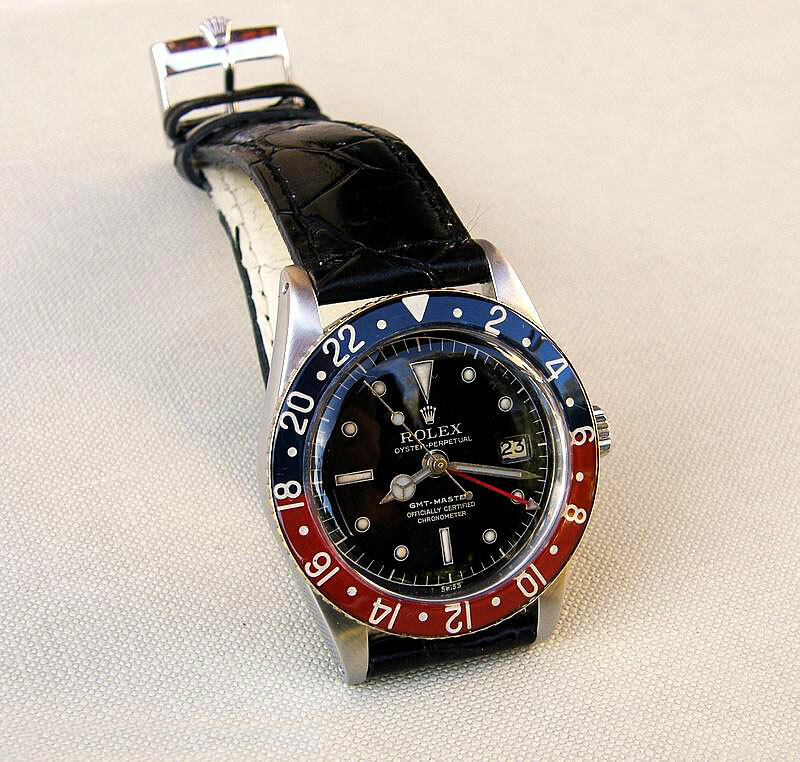 Dr. Strong (Jeff) took this great shot of his vintage Coke 6542, no-crown-gaurd Rolex GMT Master. This watch also has a bakelite bezel insert and a "small arrow" 24 hour hand. What a watch and great photo!! !